Oysters love a drink! They’re right at home in a bloody Mary, with chilled gin and lemon, or a flute of champagne. We’ve rounded up dozens of oyster shooter recipes, oyster cocktails, and drunken oysters from your favorite magazines, chefs, food blogs, and cookbooks. 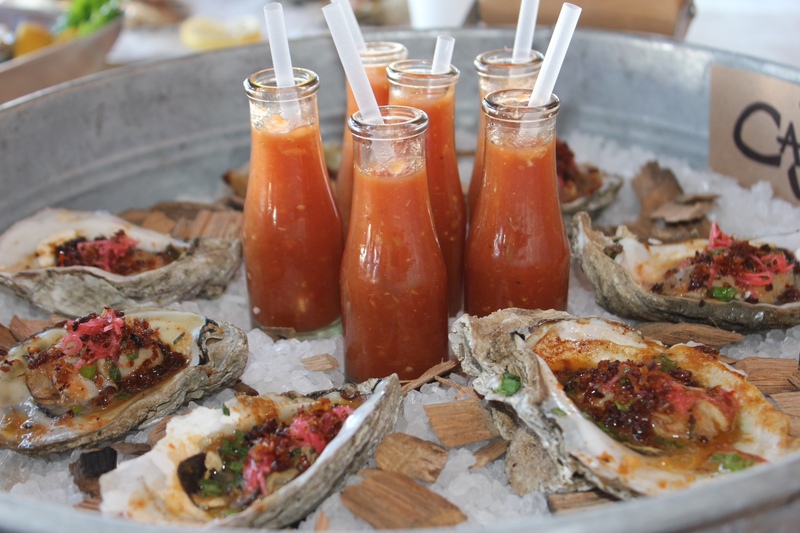 Your Oyster of the Day: Tequila Oyster Shooters from Emeril Lagasse. Tequila + lime juice + oysters + cilantro and more? Make mine a double!